Marion County Parks and Recreation has teamed up with the Marion County Public Library System to provide activities and events at a location near you! When – Oct. 14, 10 a.m. to 2 p.m. Looking for a new best friend? Consider adopting from one of our local animal groups to give a pet a forever home! Pet-related information and resources will be provided by local vendors and exhibitors. Stop by the photo booth to enter the pet photo contest. All pets must be leashed. When – Oct. 21, 10 a.m. to 5 p.m. Applaud the writing, filmmaking, artistic and performing talents of Marion County’s teens. Vote for your favorites in each category. Have a snack at a food truck and maybe win a door prize! All ages are invited to attend. *Event participation is open only to ages 13 to 18. Applications are available at any public library location or online at library.marioncountyfl.org. When – Oct. 21, 3 p.m. Learn all about owls and other raptor birds at our annual Owl-Ween program suited for the entire family. The Avian Reconditioning Center will present and talk about several of their resident raptors during their presentation starting at 4 p.m. See these birds of prey up close! The program also includes a craft activity, eco-tram rides at 3 p.m. and 5 p.m., and refreshments. Fee: $3 per person, plus the park entrance fee. Stories Under the Stars: Phantoms in the Fort, Oct. 21, 7 to 9 p.m. When – Oct. 21, 7 to 9 p.m. Celebrate the opening of the fort at the Fort King National Historic Site with spooky stories and snacks around a fire. The darker it gets, the more frightening the fables! Hear master storytellers, and tell a tale of your own, all while sitting in the historic fort that makes Fort King so unique! Presented in partnership with Ocala Recreation and Parks, Fort King National Historic Landmark and Ocala Storytelling Festival, Inc. When – Oct. 28, 1 to 4 p.m. Celebrate fall with Paul the Magician, Woodsy the Owl, stories, games and more! Co-sponsored by United Way of Marion County Reading Pals. Ages 12 and under with caregivers. Travel to the land of once upon a time. Dress up as your favorite character, dance around the Maypole with the Greenwood Morris Dancers and enjoy haunting fairy tale laughs with the Ocala Civic Theatre. Let your imagination wander through the enchanted fairy gardens created by the Pioneer Garden Club of Ocala. When – Oct. 28, 4 to 7 p.m.
Marion County Parks and Recreation and Public Library System team up to host an evening of free Halloween fun! 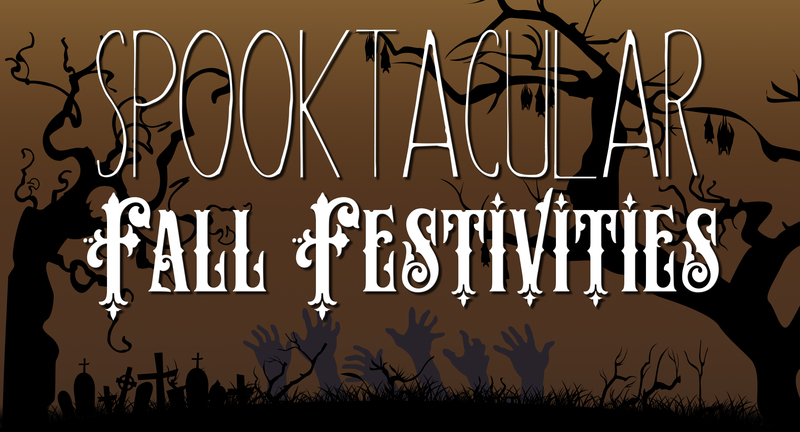 There will be a variety of spook-tastic games, face painting, music, and candy. Local businesses and various volunteers will be on hand to make it a great time for all ages.